Maurice Sendak’s final work was published recently, My Brother’s Book, a tribute to Jack Sendak who died in 1995. His older brother was also a children’s book author, little remembered but with a pleasingly surrealist bent. Maurice and he worked together on a number of works including The Circus Girl and The Happy Rain, but their first collaboration goes back to the very beginning of Maurice’s career. The Sendak boys grew up in Brooklyn listening to their father’s folk tales, instilling in them a love of storytelling. 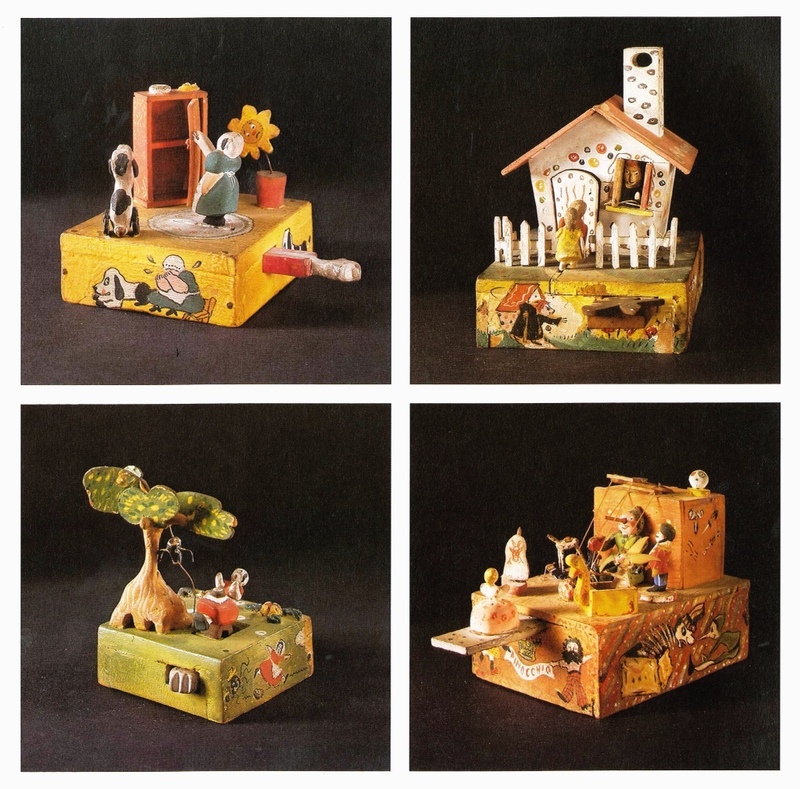 Their first joint venture was the creation of a series of intricate mechanical toy boxes with scenes based on well-known fairy tales and nursery rhymes like Hansel and Gretel and Old Mother Hubbard. They were exquisitely crafted. Jack made the mechanisms while Maurice carved the figures and painted the scenery. They even drafted their sister Natalie in to knit bed clothes for Little Red Riding Hood’s Grandma. Pleased with their prototypes, the boys arranged a meeting with the buyer for FAO Schwartz, the toy mecca in New York. But although the boxes drew gasps of appreciation from staff they were ultimately dismissed as being too expensive to mass produce. In The Art of Maurice Sendak by Selma G. Lanes, Maurice admits that they were perhaps slightly unrealistic in their expectations. ‘We visualised a workshop full of little old men creating the wooden parts, and we would not have permitted any kind of plastic substitute’. Although the career as a toymaker never materialised, Sendak was offered a job building and designing Schwartz’s window displays. It was here that he began his journey into children’s books; his interest in the store’s wide range of children’s books caught the attention of Schwartz’s book buyer, who introduced him to Ursula Nordstrom the children’s editor for Harper and Brothers. She commissioned illustrations from him the next day, and continued to edit his books until her death in the late 80s. 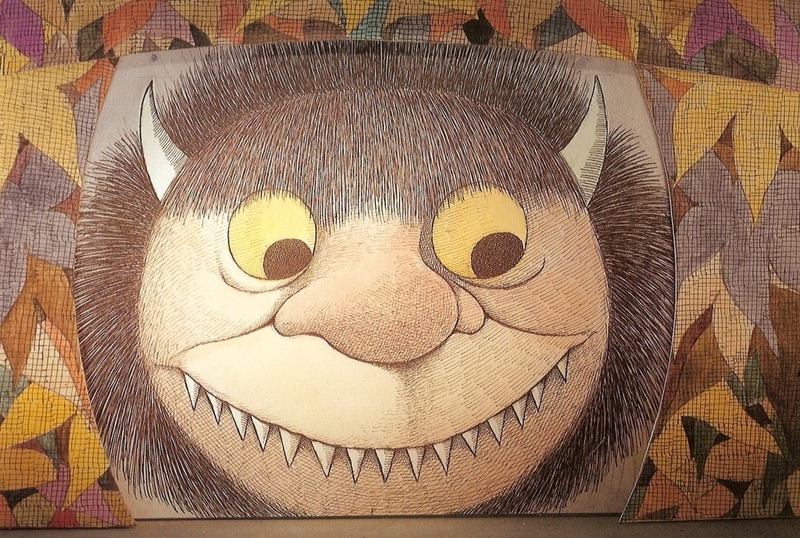 Of course the story – or at least the bit where he escapes by boat from the monsters – was finally turned into the perfect picture book, Where the Wild Things Are. 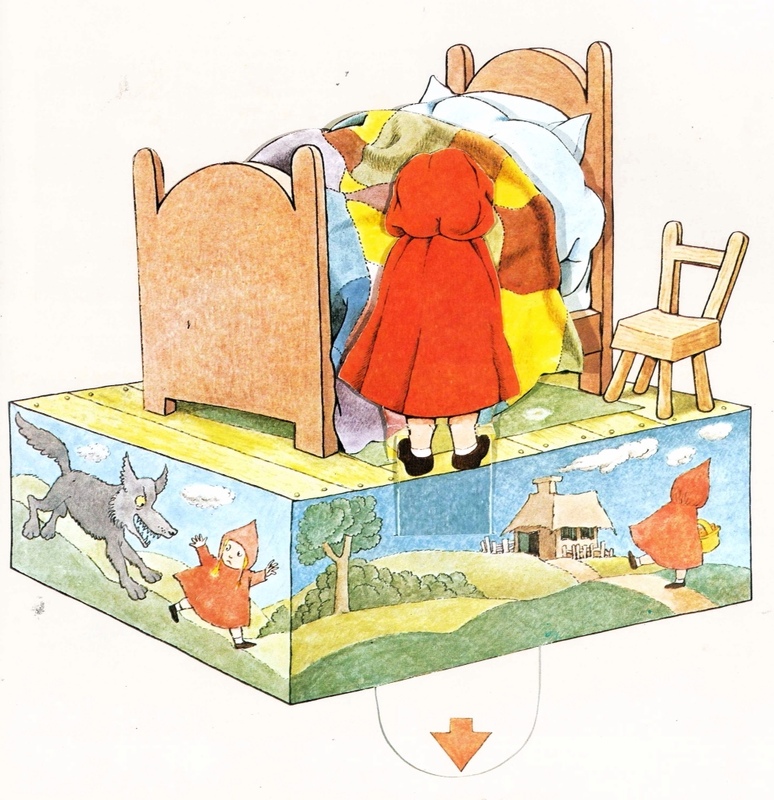 As Sendak explains, there was a fairly fundamental reason for the re-write. 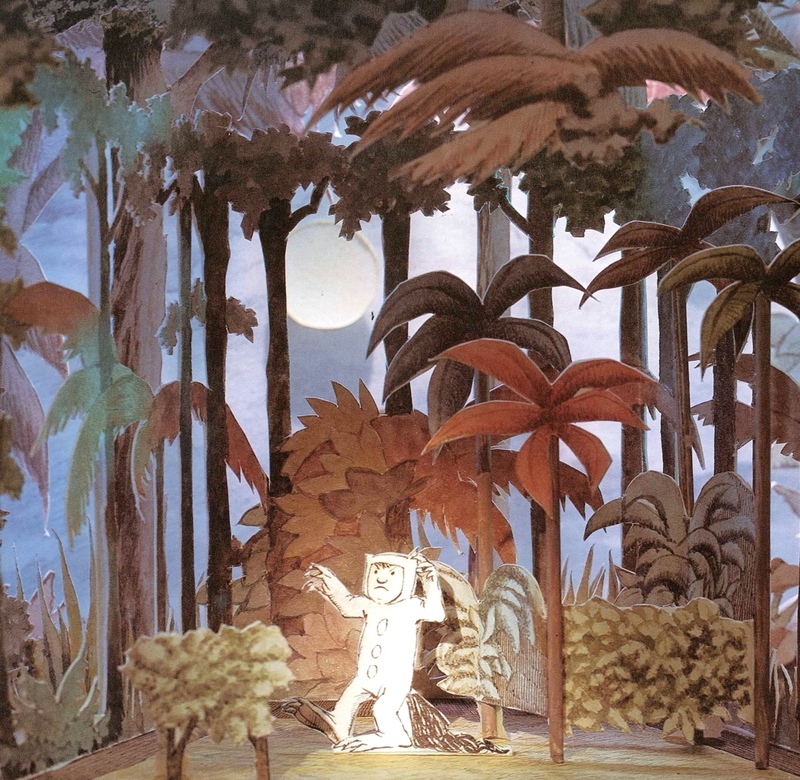 Audiences got to find out in 1979 when the Wild Things came to life in an opera version, for which Sendak designed the sets. Pictured above is his curtain design, which, dear merchandising people, I would really love to buy. Below are models of the stage sets, which beg the question – when will someone make a decent animated version of the story? Personally I’d love to see what Jan Švankmajer or Aardman would do with it. It was quite a journey from creating toy boxes to staging a full scale opera. And it’s fitting that in his final work Maurice Sendak chose to pay homage to the man who began that journey with him. Tags: Charles Sendak, FAO Schwartz, Maurice Sendak, where the wild things are. Bookmark the permalink. Wow, these are beautiful! Great post.